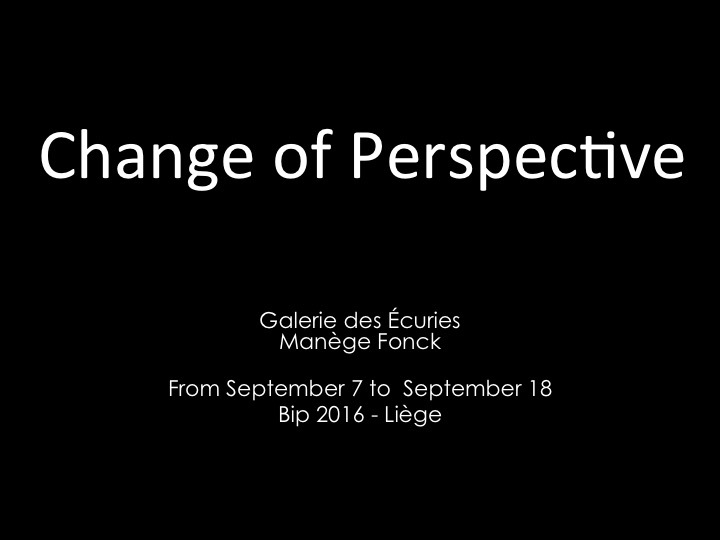 As part of BIP Liège, at Galerie des Écuries the exhibition “Change of Perspective” presents five emerging artists: Jolien Dirix, Charlotte Koenen, Johannes Langkamp, Miriam Sentler and Christina Nickel. Artists who embrace photography in an experimental and playful way. The process behind the image, the perspective of the movements, the photogram, the juxtaposition – are all in the spotlight. The artists show their own relationship with photography through video, installation and performance and allow the viewers to stop for a second to ask themselves: What are you looking at? which at the end… Is this not what photography should challenge you to do? Click on the picture to enjoy the catalogue.